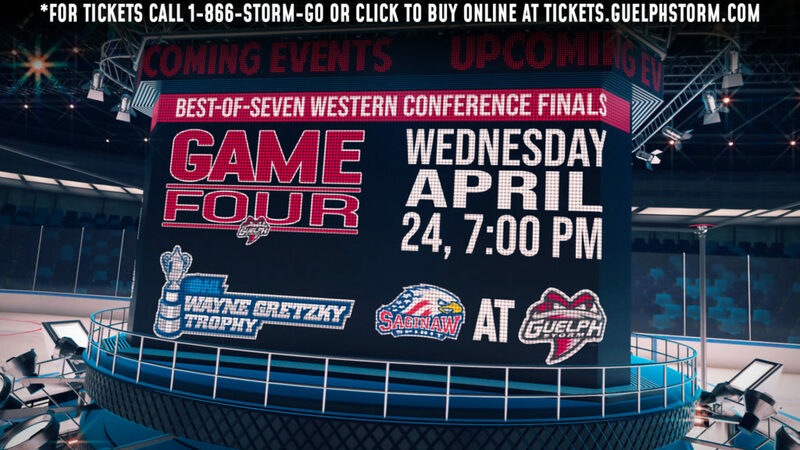 The Guelph Storm can’t buy a break right now. 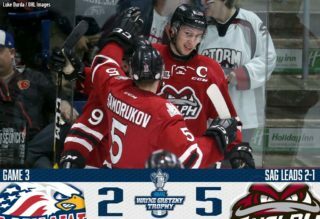 Despite playing 55 minutes of pretty solid hockey on the road against the Kitchener Rangers, the Storm returns home down 2-0 in their best-of-seven Western Conference quarter-final following a 2-1 loss Sunday night. 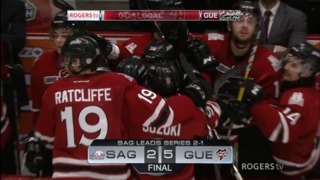 Game 3 goes Tuesday in Guelph. Friday night it was five minutes of bad hockey that sunk them. Sunday night it was Kitchener goaltender Mario Culina, who made 41 saves and was justifiably named the game’s first star. He said if the Storm continues to play like they did Sunday, the series is far from over. “I thought we played a complete 60 minutes. One of our best games all year. 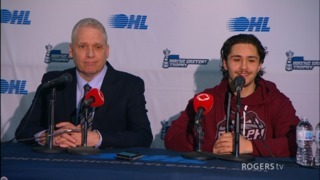 We played a great game,” said Merkley, who had one of his best games in recent memory, controlling the tempo, making safe plays when necessary and looking very dangerous on the rush. Cam Hillis gave Guelph a 1-0 lead early in the first period, then Givani Smith tied it eight minutes later on Kitchener’s only power play of the game. 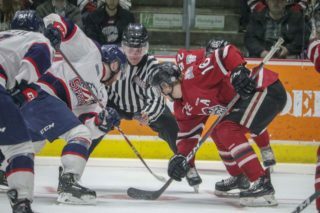 Guelph thought they had taken a 2-1 lead early in the third period when Nate Schnarr slid home a rebound of a point shot, but the referee ruled coincidental contact on the Storm’s Hillis. “I thought I just lifted the (defenceman’s) stick. If anything I thought their guy hit the goalie. It was a tough call,” said Hillis.